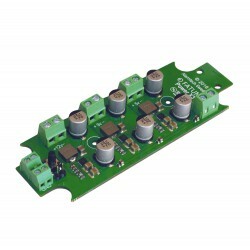 Power supply unit with ViP (Voltage in Parallel) function, 24 VDC/ 1,5 A. 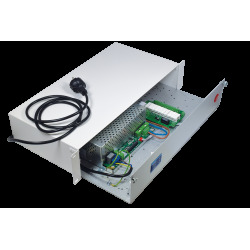 Power supply unit with ViP function can be connected in parallel to provide more power and redundancy and compensate for voltage drop in the cables. 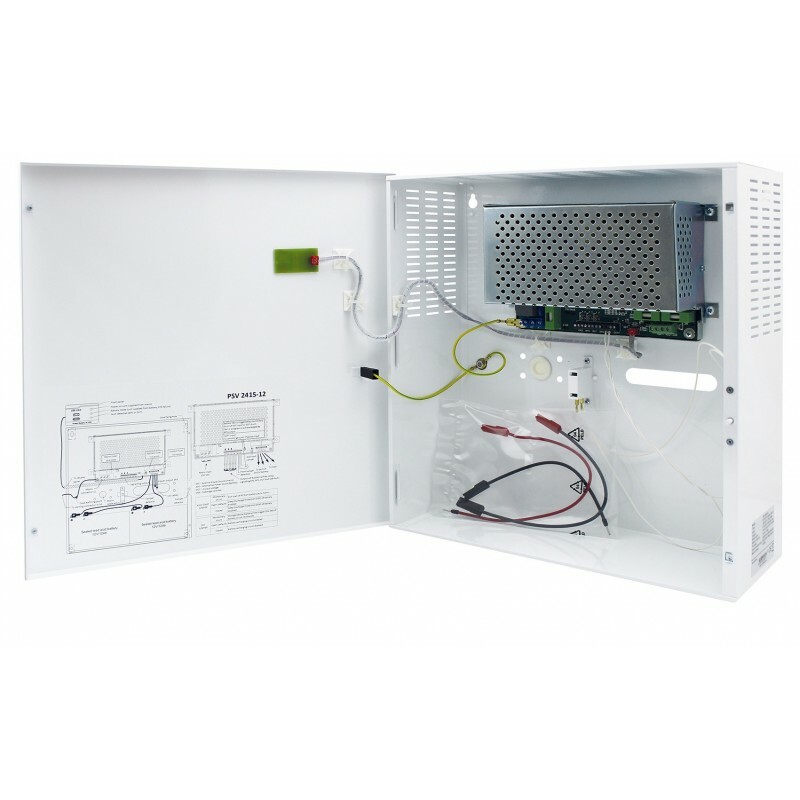 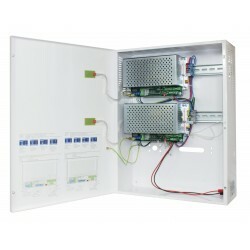 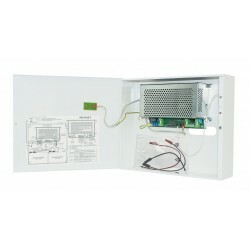 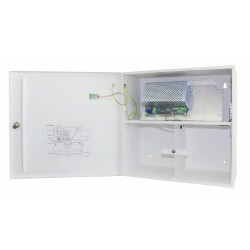 Space is provided for two 12V/12Ah accumulators in the metal box which also has opening and pry-off switches. 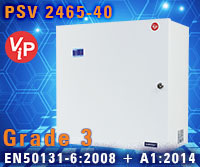 The unit is protected against short-circuiting and overload. 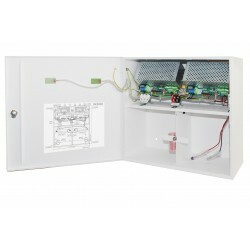 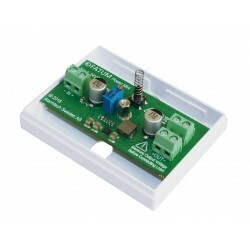 Mains failure, low output voltage, battery and fuse failure is indicated via LED and activates separate outputs with relays.